Home Recipes Meet the Topside Roast. The family is coming over and you dont know what to cook? The topside roast is a hefty piece of meat that comes from the inside of the hindquarters at top of the leg and is a boneless cut. Even though it has a layer of fat on one of its sides, the topside roast is super lean with minimal marbling (streaks of fat) which gives you the chance to make a fabulous slow-cooked roast. But being so lean means that if cooked for too long you could be left with a chewy roast. Topsidesdo well with a liberal amount of seasoning and being quickly browned before being braised, pot roasted, stewed or slow cooked. 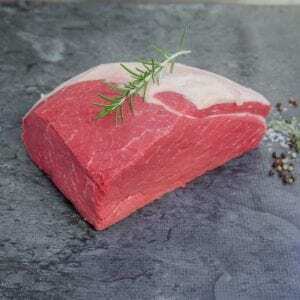 For the best texture cook the topside roast to a medium or medium rare level of doneness. And dont forget the Golden Rule of resting the meat. Once out of the over give the Topside 20 minutes to relax before serving!